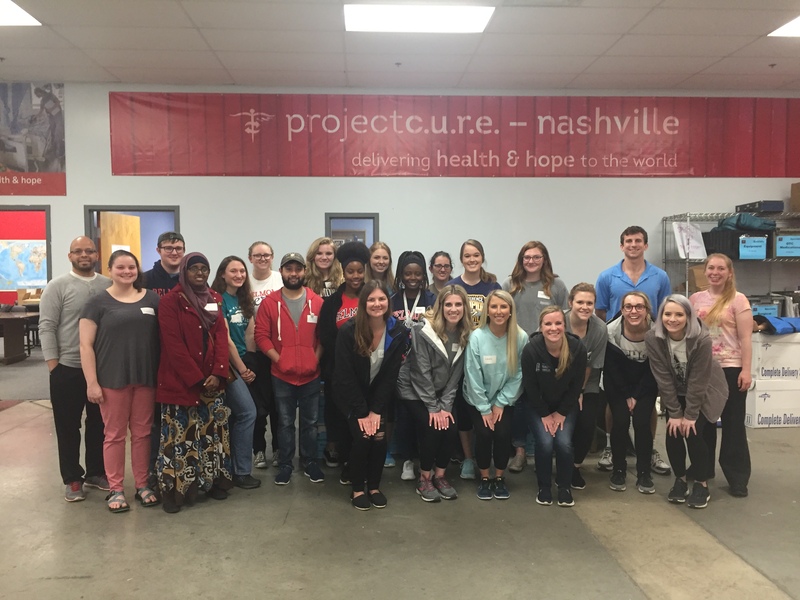 A group of 22 pharmacy and nursing students and Associate Professor of Nursing Dr. Jamie Adam recently volunteered with Project Cure. In less than three hours, the team unloaded five pallets and sorted, organized and boxed more than $12,000 in medical supplies. Project Cure’s local volunteer coordinator commented that the group was remarkable and accomplished more than many other teams that have donated time there. She highlighted that the group’s knowledge of medical supplies was an asset. The opportunity was made possible through the connection of Assistant Professor Nursing Jean Blank. She and her husband have been core volunteers with Project Cure for years.